England fans are notoriously known in the footballing world. The reputation of away day culture with ‘the lads’ lives on – a passage of time where drinking at 7am in the morning seems acceptable as fans from all over the country unite as one. 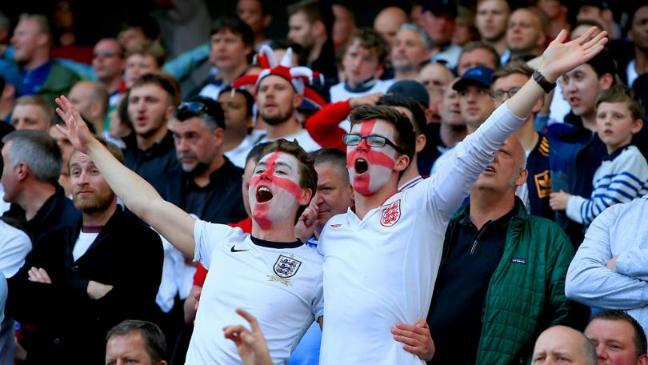 Although possessing some of the most patriotic fans since the sports’ existence, football fans – especially those that follow England – are never out of the limelight. In Amsterdam alone there were over 100 arrests as the three lions defeated Netherlands in an international friendly back in March. Euro 2016 was undoubtedly worse as England and Russia fans clashed with one another in the streets of Marseille before the opening game of their respective campaigns. As the World Cup is right upon us, pre-tournament political talk is rife. Russian MP Igor Lebedev has been seen in the past encouraging the fighting, condoning the behaviour of the Russian ‘ultras’ who attacked England supporters at the last European Championship. It leads many to question the purchase of such tickets and accommodation to follow England’s journey through a country that’s so monumental it lies on two different continents. Nonetheless, Gareth Southgate’s side play their three group games in Volgograd, Novgorod and Kaliningrad – three places that are probably alien to you and me. 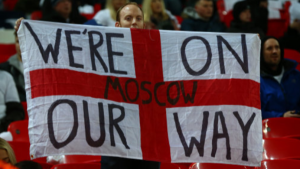 However, the large majority of supporters are expected to be based in the capital – familiarly heard in the song at Wembley started by The England Band – “to Moscow we’re on our way”. If you were to make base camp there and follow England round the group stages, you would accumulate some serious travel miles. To begin with, the flight to Moscow at an appropriate time will cost around £500, a journey that will take just under four hours. From the city centre, it will then take around 12 hours to watch the Tunisia game at the Volgograd Arena – a route spanning just under 600 miles. Alternatively, you could catch a flight for £100, a viable option that would reduce your travel time by almost 11 hours. Again, flying is also an option, but it will set you back another £50 for an hour flight. The game that may tickle your fancy on the other hand is one that will likely decide the Group G winners. England v Belgium is in Kaliningrad at you guessed it – the Kaliningrad stadium (the Russians aren’t as innovative with their stadium names as they perhaps are with their vodka). This involves a 16 hour journey by coach or a two hour flight costing an additional £200, concluding the group and letting the knockout stages commence. Whether you continue to follow Southgate’s men at this point or decide that come June the 28th you’ve had enough of the lacklustre performances evident at previous major competitions, it’s an expensive ‘holiday’ nonetheless. Don’t forget you’ve got your accommodation. A place near the host stadium for the final will cost you around £200 a night – a room merely consisting of a tiny single bed, a microwave and a toilet. Then with all the beer and food money on top of that, to attend the World Cup you might need to dig deep into those hard-earned savings. Tickets aren’t as hard to get this tournament either, only 24,125 applications were made in the first wave this year, a number contrastingly lower than the 96,780 that applied at the same time four years ago in Brazil. Whether this is down to the rise of Russia’s neo-Nazi hooligans or the fact an alcohol ban has been placed on fans in the capital, either way the popularity has dropped massively. However, if an opportunity presented itself for you to go to the World Cup would you turn it down? I certainly wouldn’t.